Dampening field Generic term for a variety of energy fields that neutralize other forms of energy or radiation. 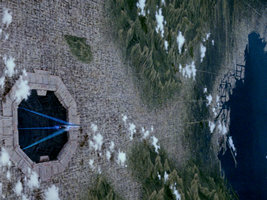 Dampening fields are used to inhibit communication, to render energy weapons useless or to disable the power systems of a starship (DS9: "Civil Defense", "Paradise", "Empok Nor", "Field of Fire", VOY: "Distant Origin", "Night", "Natural Law", ENT: "Oasis"). See also duonetic field. Data crystal Small information storage device used by the Idanian intelligence agency. The crystal is equipped with security features to disable unauthorized access (DS9: "A Simple Investigation"). Data recorder See log buoy. Dataport Computer interface inside a person's brain allowing direct connection with a computer system (DS9: "A Simple Investigation"). 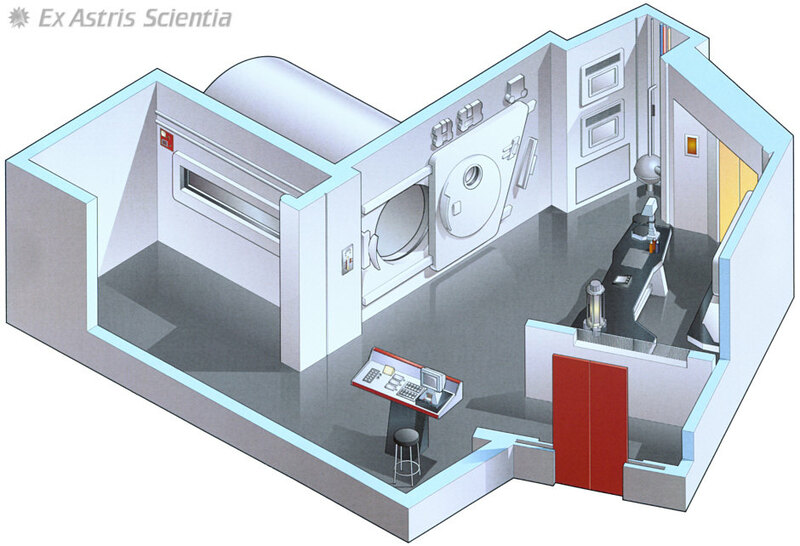 Decompression chamber Facility aboard a 23rd century Federation starship, used to generate underpressure for medical treatment (TOS: "Space Seed", "The Lights of Zetar"). 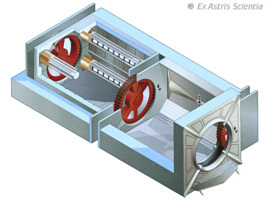 The pressure scale shown on the controls of the chamber is realistic. When Khan tortures Kirk in "Space Seed", the display drops from 30 inch Hg, the normal atmospheric pressure. In the remastered episode this double obsolete unit was not changed to SI unit of hectopascal (hPa). Decon chamber Short for decontamination chamber, facility aboard a 22nd century starship to remove possibly dangerous contamination of personnel coming aboard (ENT). Defense field Protective forcefield erected on a starship to prevent unwanted beaming when the ship is at yellow alert ("Star Trek: The Wrath of Khan"). Curiously, the display showing how the field is erected in the movie reads "Intruder alert", as if an intruder had already been detected. Deflector shield Usually simply called "shields", a series of forcefields around a starship, space station, planet or other facility that serves for the protection against natural hazards and hostile attacks. 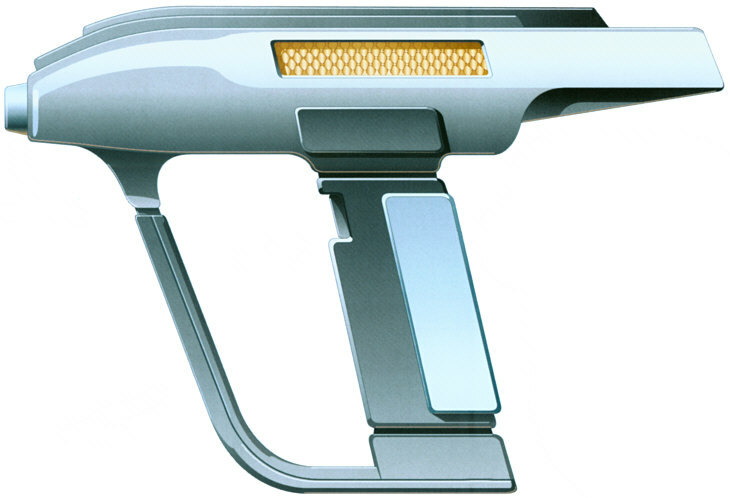 Phaser and disruptor fire cannot directly penetrate the shields, unless the shield frequency is known and exactly matched. Without matching, weapons may weaken the shields by draining energy from them and their respective energy sources. Transporters cannot be used when the shields are in place. 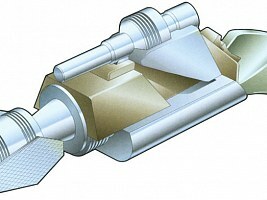 In contrast to the shields, the navigational deflector usually provides a forcefield which focuses on single obstacle such as a comet (generic). Deflector shields are supposed to be graviton-based according to the TNG Technical Manual. However, such a shield would also cloak the ship. More shield problems are discussed in Weapon Investigations - Shields & Cloaking. Delta-wave inducer Medical device used to put and keep a patient asleep (DS9: "Invasive Procedures"). Dematerialization In a transporter cycle, the transformation of the original matter to a matter stream. Reverse process to rematerialization (TNGTM). Dermal regenerator Medical device used to seal small wounds or burns and restore the original skin structure. 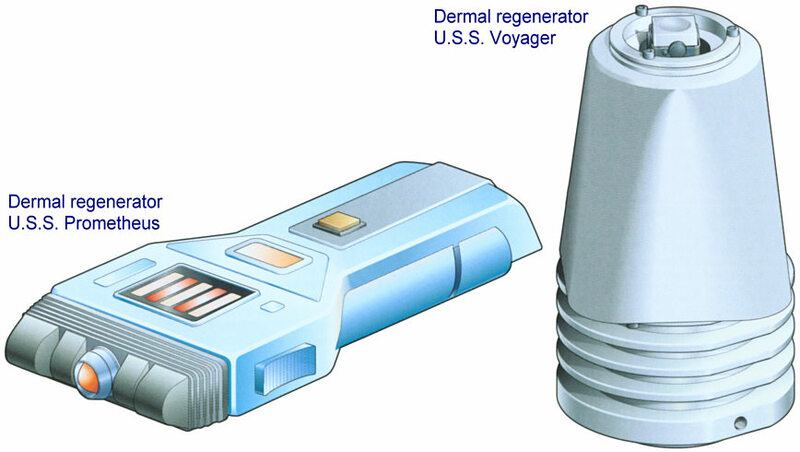 Dermal regenerators are standard equipment of Starfleet and other civilizations in the 24th century (TNG: "Frame of Mind", DS9: "The Homecoming", "Indiscretion", "Wrongs Darker than Death or Night", VOY: "State of Flux", "Year of Hell"). 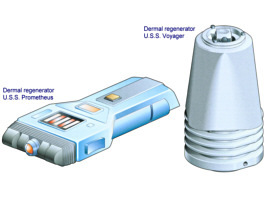 The hand-held dermal regenerator is supposed to support and accelerate the natural healing process of the skin tissue, as has been demonstrated on many occasions since TNG. Yet, there might be an improved regenerator installed in sickbay that is capable of more than just emitting "healing rays" and possibly equipped with a microreplicator, so larger injuries can also be treated without leaving scars. Obviously the Doctor refers to such a device when he tells Janeway that without a dermal regenerator there will be scars left on her face and arms in VOY: "Year of Hell II", for it is quite improbable that all the small hand-held devices are out of order. Dermaplastic graft Piece of artificial skin. The Doctor used dermaplastic graft to support the regeneration of her human biology (VOY: "The Gift"). Detronal scanner Medical instrument capable of reading and interpreting the genetic structure of living tissue (TNG: "Ethics"). Deuterium injector Matter injector of a warp core (DS9: "Shattered Mirror", "Valiant"). Dilithium crystal Component of the warp drive inside which the matter and antimatter streams are converted to an electroplasma stream in a controlled mutual annihilation. Occasionally referred to as dilithium matrix. Dilithium is the only known element to be non-reactive to antimatter when subjected to a high frequency electromagnetic field in the megawatt range. The efficiency of the reaction inside the crystal depends on its quality (TOS: "Mudd's Women", "The Alternative Factor", "Elaan of Troyius", "Star Trek IV: The Voyage Home", TNG: "Peak Performance", VOY: "Threshold"). Although Dilithium does not exist in the real world (and would probably not be a stable element if ever discovered), it is an efficient concept to solve the problem of controlling the matter/antimatter reaction. While only naturally occurring crystals were available in the 23rd century, monocrystalline dilithium can now be produced by means of epitaxy (TNGTM). The use of natural crystals in the 23rd century is a tongue-in-cheek reference to TOS: "Elaan of Troyius" where a necklace of raw dilithium saved the ship. It seems that during TOS dilithium was meant to be the actual power source of the ship, whereas in TNG and later it became "crystal"-clear that the warp drive is powered with matter and antimatter. During the first season of TOS the crystals were referred to as "lithium crystals". This was changed to "dilithium" because the real element could never have the properties ascribed to it. Dimensional shifter Transporting device using space folding, as opposed to the Federation transporter (TNG: "The High Ground"). This transporting method is used by the Ansata group and has the side effect of DNA damage. The Sikarian trajector in VOY: "Prime Factors" is probably based on space folding as well. Direct reticular stimulation Medical treatment to stimulate brain activity using a neural stimulator (TNG: "Skin of Evil"). Unfortunately the procedure could not save Tasha's life after she had been attacked by Armus with an electric discharge. Directional sonic generator Hand-held sound emitter (DS9: "Playing God"). O'Brien used such a device in his fight against the voles on the station. Dispersion field Artificial protective forcefield. A dispersion field makes the use of a transporter impossible (VOY: "Concerning Flight"). It is not certain if the field is specifically designed to inhibit the transporter (like a transport scrambler or transport inhibitor) or if this is just a side effect. Dispersive armor Type of armor around the bridges of 22nd century Klingon warships. Impervious to phase cannon fire (ENT: "The Augments"). Displacement-activated spore hub drive See spore drive. 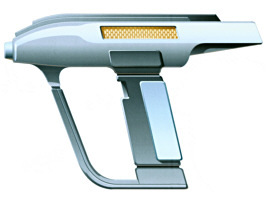 Disruptor Discharge weapon, used by Klingons, Romulans, Breen and other races. 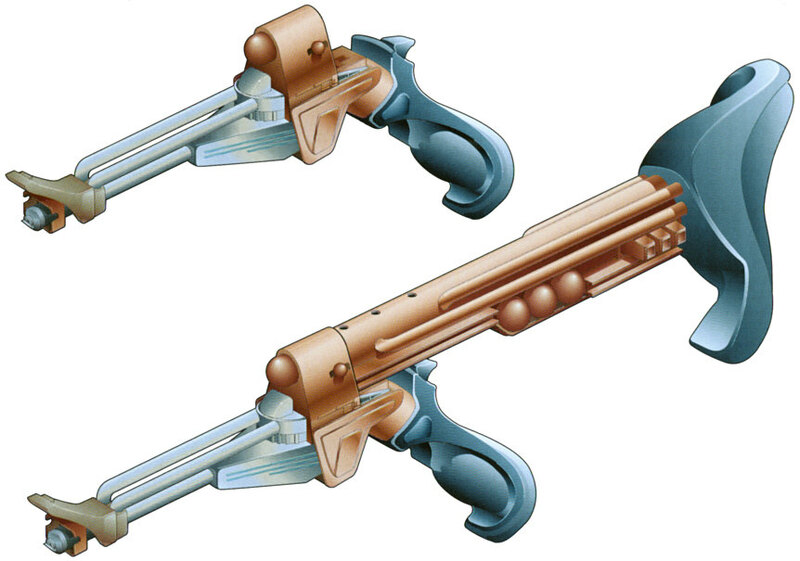 Disruptors are available as shipboard and as hand-held weapons (generic). 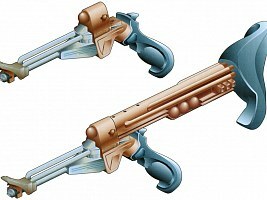 The function principle of disruptors is probably similar to phasers, however, further information on this issue is "classified". It is not certain if all disruptors are alike. 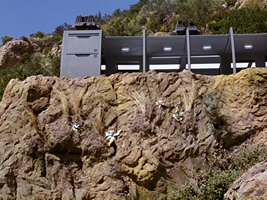 At least the Varon-T disruptor is outlawed in the Federation (TNG: "The Most Toys"). Disruptor cannon Ship-mounted Klingon disruptor (generic). Distress call Signal calling for assistance in case of an emergency (generic). DNA resequencing See accelerated critical neural pathway formation. Docking arm Mechanical arm with a magnetic tip that aids in the start and landing procedure of shuttles on an NX-class starship. May also be used to pull in inert objects (ENT). Docking clamp Mechanical device forming a rigid connection between a starship and a space station, particularly Deep Space 9 (generic). Docking port Facility for establishing a physical connection and mutual access between a shuttlepod and a starship or a starship and a space station. 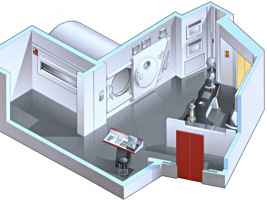 A docking port usually includes an airlock (generic). Doppler compensator Part of the transporter system that compensates for relative motion of the origin and the destination of the transport. Without this device, the Doppler effect would lead to a wavelength shift, thereby distorting the transport pattern (TNGTM). 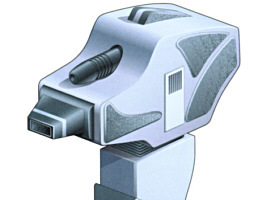 Drechtal beam Medical device used to sever neural connections (TNG: "Ethics"). Drone ship Remote-controlled spacecraft. Specifically, two camouflaged prototype vessels deployed by the Romulans in 2154 to incite an interstellar war (ENT: "Babel One", "United", "The Aenar"). Drydock Facility in which starships are maintained and repaired, usually located in a planet orbit in combination with a starbase (generic). Duck blind Cloaked observation post, built by the Federation for anthropological studies of native pre-warp civilizations (TNG: "Who Watches the Watchers", "Star Trek: Insurrection"). Duonetic field Field that inhibits the use of any electrical device, a special case of a dampening field (DS9: "Paradise"). Duotronic probe Engineering device that may be used to regulate the plasma flow (VOY: "Fair Trade"). This device is obviously somehow based on duotronic circuits. Duotronics Computer technology used aboard Federation starships from the mid-23rd to the beginning of the 24th century, invented by Dr. Richard Daystrom (TOS: "The Ultimate Computer", TNG: "Relics", DS9: "Trials and Tribble-ations"). Daystrom was also responsible for a further development, the multitronics. The experiment, however, failed in 2268 because the M-5 multitronics computer was given consciousness and willfulness (TOS: "The Ultimate Computer"). The Duotronics was eventually replaced by isolinear technology from 2329 (TNGTM). 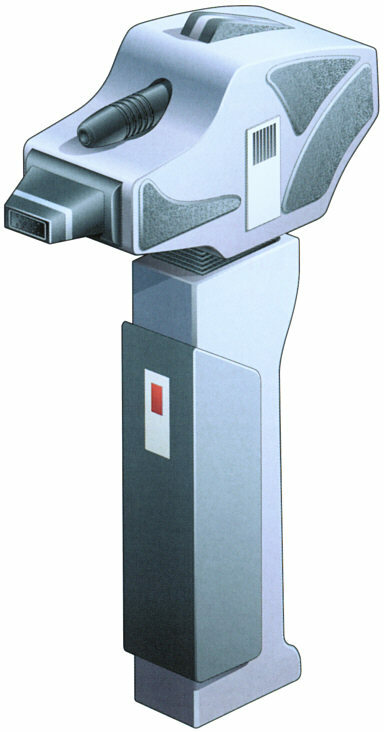 Dynoscanner Sensor tool used to detect low-level molecular activity ("Star Trek: The Wrath of Khan", TNG: "Ethics"). Dyson sphere Artificial sphere built around a star in order to take advantage of its complete energy emissions (TNG: "Relics"). The Dyson sphere is named after Freeman Dyson who devised the concept. There are several types of Dyson spheres discussed in the Dyson Sphere FAQ (alternative link). 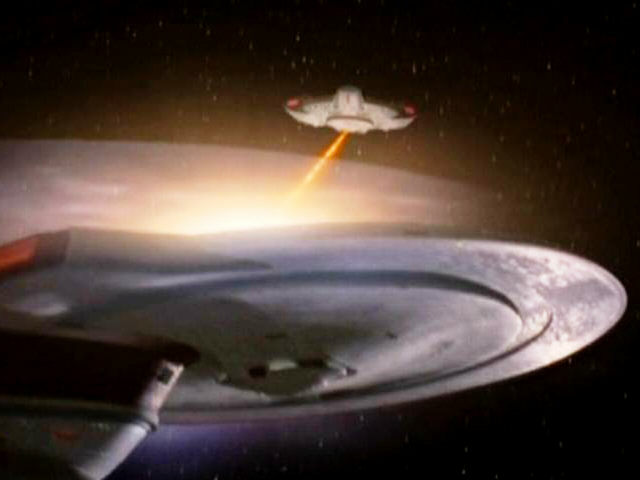 The one featured in the TNG episode is the most advanced type and completely envelops the star. Its radius is 100 million km so as to provide moderate irradiation density on its inner surface, maintaining Class-M living conditions throughout the whole 125*10^15 km^2 area, 250*10^6 times Earth's surface. In an optimistic estimation the sphere is only 100m thick and any element except for hydrogen and helium can be employed for its construction. Still, about 12,000 Earth-like planets would be required in this case. As a result, there should be a large space region without planets. Only a vastly advanced and superior Q-like race would have the power to collect planets and put them together to such a huge construction. However, a serious objection is that a race able to build a Dyson biosphere would actually not need one and a less advanced civilization with the necessary knowledge would not give up their planet(s), everything that makes up their history. Summarizing, this type of Dyson sphere is not a viable concept. Nevertheless, scientists are engaged in a serious search for such objects. Dyson spheres are expected to have infrared emissions, because the light coming from the respective star is absorbed and converted to heat. In order to maintain a constant average temperature inside the sphere, it would be necessary to allow the outer surface to emit the excess energy in form of infrared radiation. 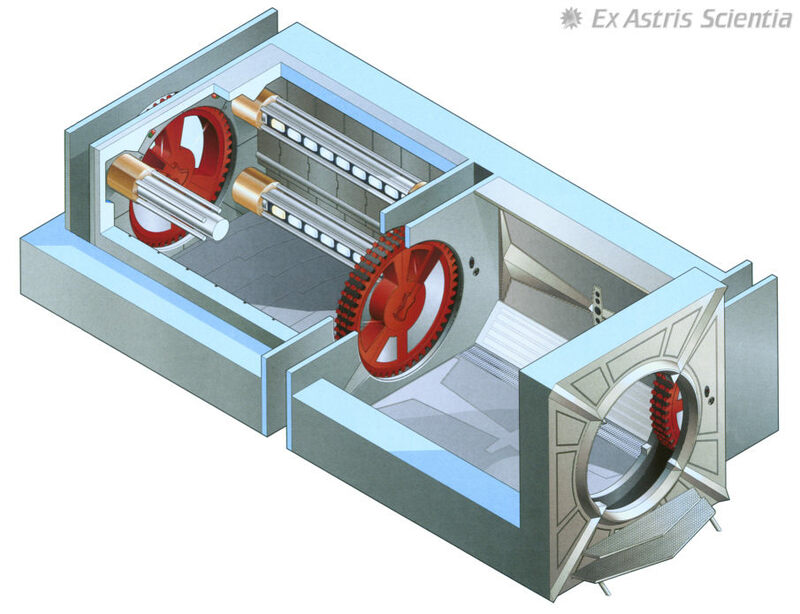 Unlike the unrealistic Dyson biosphere a radiation collector installed in space, inside the orbit of Mercury, could provide all the necessary energy required for an advanced human civilization.